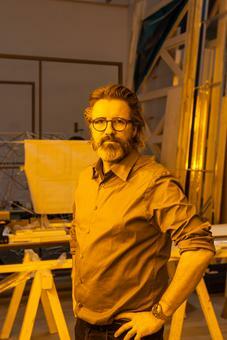 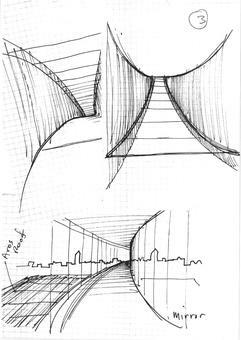 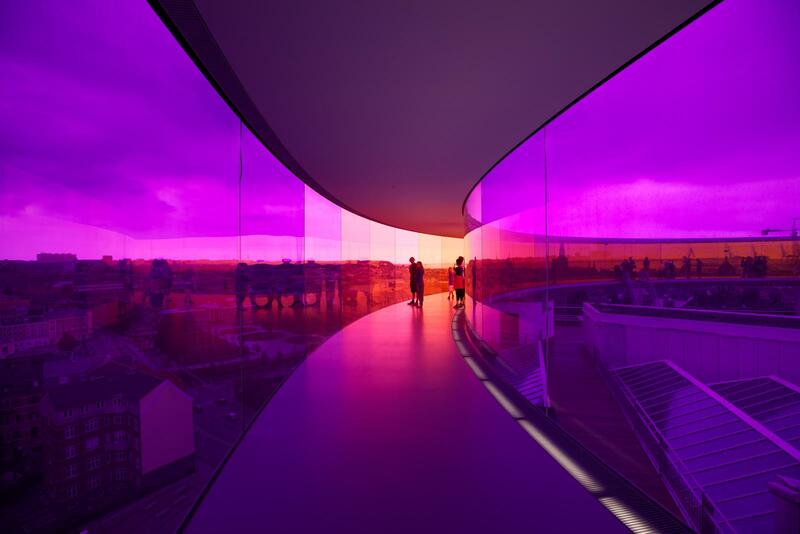 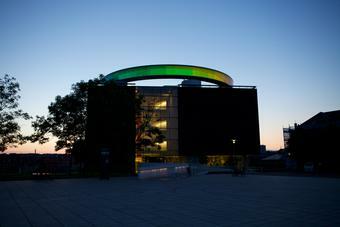 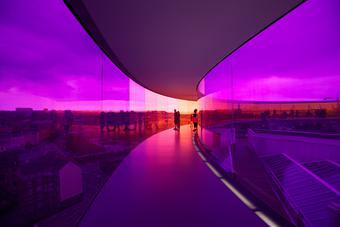 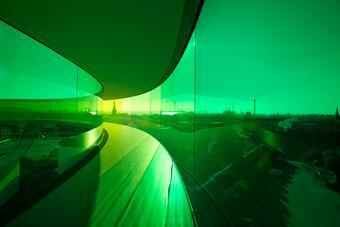 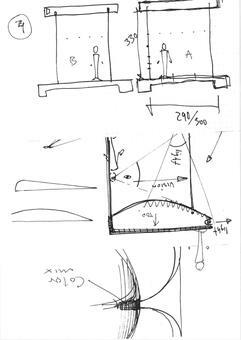 In 2007 Eliasson and his studio won an invited architectural competition with a proposal to transform the rooftop of ARoS Aarhus Art Museum, in Denmark, which was built by schmidt hammer lassen architects. 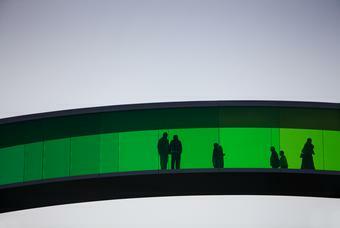 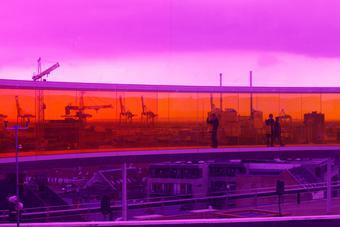 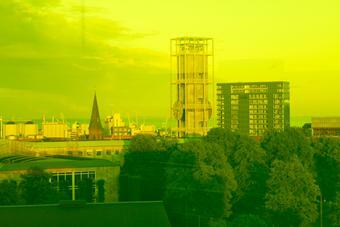 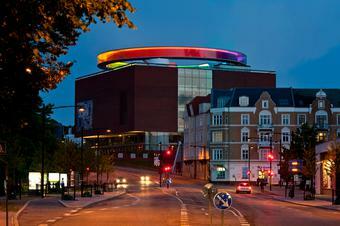 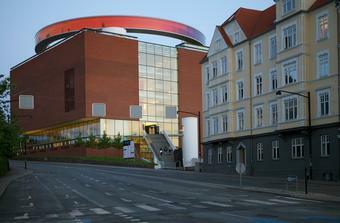 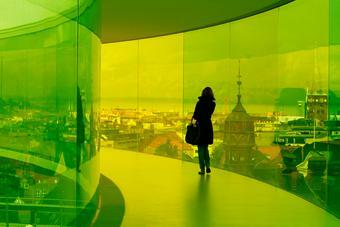 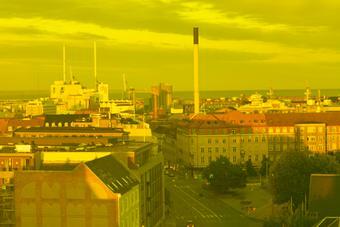 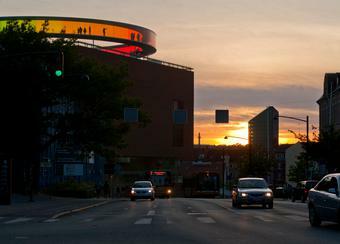 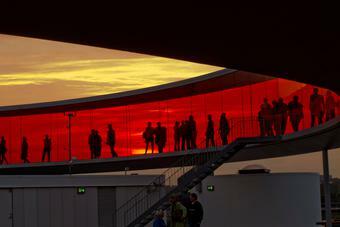 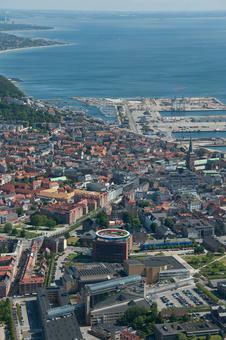 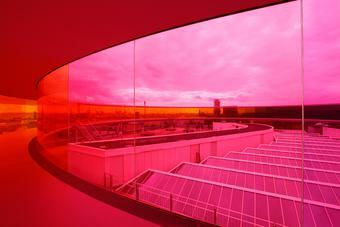 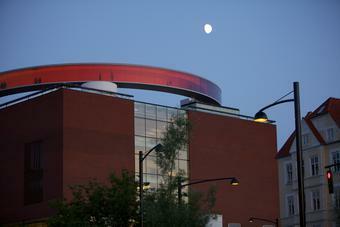 Installed in 2011, Your rainbow panorama offers visitors sweeping views of the city, the sky, and the distant horizon. 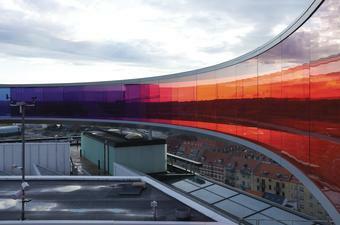 The elevated 360-degree walkway Your rainbow panorama is 150 metres around and glazed with rainbow-coloured glass. 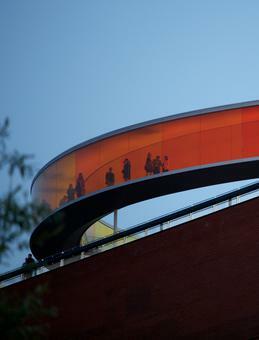 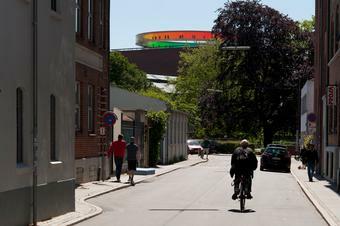 Visible from afar, the work divides Aarhus into various colour zones and acts as a beacon for people moving about the city – an effect that is heightened at night when lights running the circumference of the walkway illuminate it from within.